2011 Audi Q7 Premium Plus Sport Utility 4-Door 3.0L with Navigation - Incredible Like New Condition - LOADED This 2011 Q7 is a rare find. 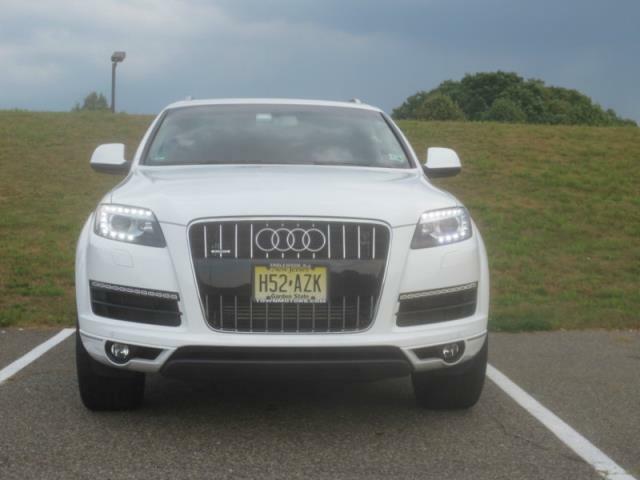 With a low 24, 700 miles and in outstanding condition you will not find another Q7 like it! 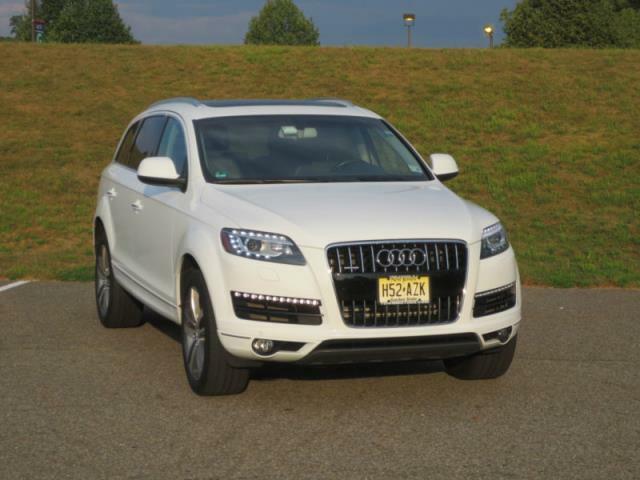 This 7-passenger Quattro (all wheel drive) sport utility vehicle with 20â€ bicolor 5-double spoke heels is as beautiful as it is functional. It is loaded with great features and is exciting to drive. Ibis White Exterior with black leather bucket seats and wood trim. This car has been garaged and no one has ever smoked in the car. It is ding-free in excellent showroom condition! See the pictures for yourself. Original owner. Powerful 3.0 liter supercharged engine. Some of the great features include: Audi MMI Navigation plus; BOSE Surround Sound with 14 speakers; Driver memory; Auto-dimming, power-adjustable and power-folding heated exterior mirrors; Parking system with sensors and rearview camera; 2 Panorama sunroofs, in front and rear; Audi xenon plus headlights with LED daytime running lights; Twelve-way power adjustable four-way lumbar adjustment for driver and front passenger seats; Leather seating surfaces; Audi music interface; Chrome accent package with full paint finish; Bluetooth; Homelink; Seven passenger seating; Power tailgate; Sirius Satellite Radio; Dual-zone automatic climate control, Heated front seats; Adjustable second row seats; Third row increases capacity to 7 passengers. Multi-function leather steering wheel with mounted controls; HomeLink Garage Opener System; Remote entry with security system and driver recognition memory.